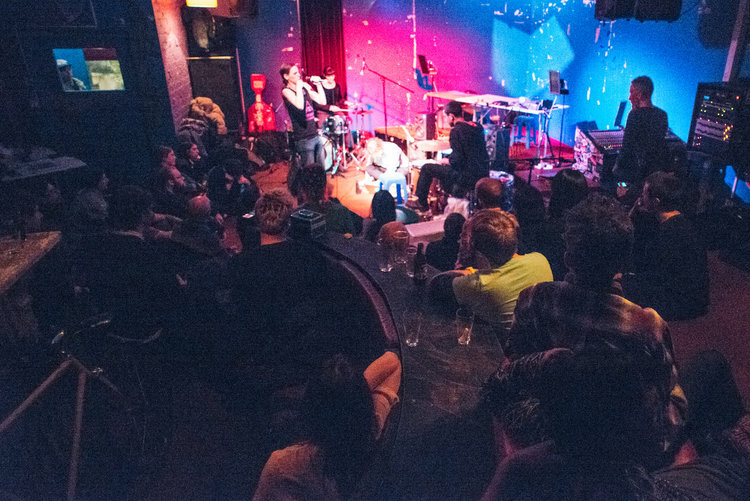 The Make It Up Club is committed to nurturing, presenting and promoting avant-garde improvised music and sound performance of the highest conceptual and performative standards, regardless of idiom, genre, or instrumentation. While traditional forms of avant garde improvisation are welcomed, MIUC programming policy gives priority to projects which challenge the boundaries of current musical trends. In doing so, the principal aims of the Make It Up Club are: to provide performers with a stable and supportive environment in which to publicly exhibit recent explorations in improvised sound; to curate a regular performance program dedicated to exhibiting local and interstate artists and, whenever circumstances allow, facilitate collaborations between international artists and their Australian counterparts; to cultivate and maintain a healthy, vibrant and diverse scene for avant-garde improvisation in Melbourne where performers and devotees alike actively contribute to a sense of community; to promote the quality and diversity of Melbourne’s unique improvised music scene locally, nationally and internationally.